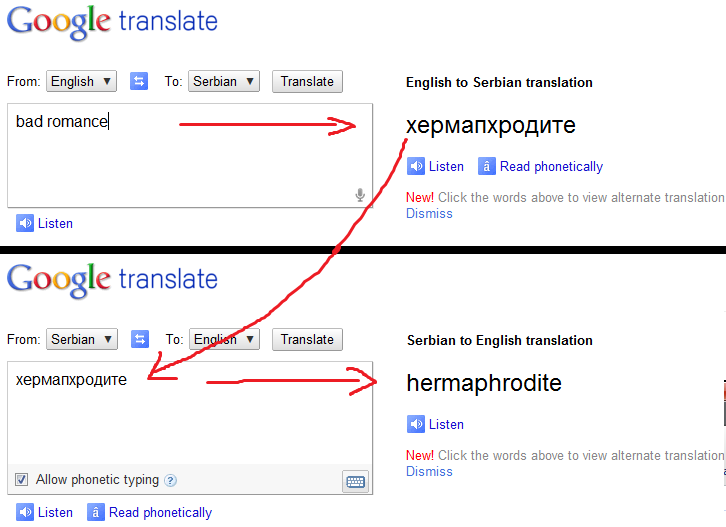 Go to Google Translate and translate "Bad Romance" from English to Serbian. Then translate what you got from serbian to English Back again. 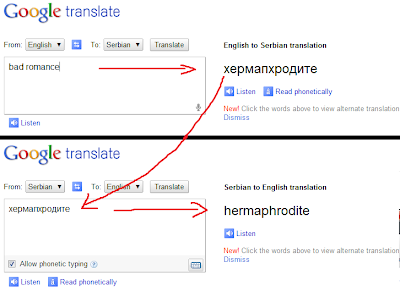 Then you get "hermaphrodite".